The CAN Info-Tech is a annual fair that takes in Nepal. It is one of the biggest festival for tech enthusiast as it showcases things of their concern. In Nepal, it is organized by computer association of Nepal (CAN) and takes place annually in Kathmandu. Basically it is a fair where national and international companies show their products. Thus for many people CAN is also platform when they can buy their required product. Best thing about CAN for customers is that they showcase original product at cheaper price. With time CAN has upgraded and become an information platform as well. You can find all kind of information on latest technological development, inventions ad so on. They even conduct seminar on different issue. For instance in 2018 CAN they talked about E Governance. It is platform where all companies established to startups can promote and show their product to everyone. CAN fair is your ultimate destinations to know about products and even buy them. For the visitors, all kind of service is given under one roof so every year CAN takes place with huge success. Different companies showcase their networking and mobile solutions, wireless solutions, security systems and other many IT based services. Other than that, a two day conference takes place after the fair where many people introduce their product to the world. The audience in the fair are accomplished IT professionals, politicians and other respected people from different fields. Therefore CAN is an ideal platform for all the young inventors and innovators. Not just for customers CAN also has a lot for its participants as well. As I already mentioned CAN takes place annually. So, it is sure it will happen in 2019 as well. Can Info-Tech 2918 has already happened in Bhrikuti Mandap with grand success and involvement of People. So in 2019 according to sources Can Info-Tech is to happen in January. You can give fresh start to your year with this fair happening in January. The venue is Bhrikuti Mandap as usual. It will happen for 6 days starting form 29 January to 3rd February. The main objective of CAN for 2019 is generating awareness among people the information and technology field. In the article, I will be listing how you can book stall for CAN 2019 and also how to buy tickets. This year take your business to another height by showcasing your product in the biggest platform. Take advantages of CAN’s huge people participation. The number of visitors in CAN has been increasing every year so it is sure that CAN 2019 will too be a grand one. If you need more exposure for your products then CAN Mela is the right place for you. This is 25th CAN Info-Tech and is sure to be grand. You can book stalls online through the Khalti App. First browse the website: can.org.np. This is the official platform of CAN to book stalls. Now select the type of stall you want and also the number of stalls you want to book. Remember the location of your stall will have great impact on your sales. You can now select any of payment method. You can select E -banking or Khalti. For E-banking you must have registered internet banking with your respective bank. And only through the partner banks of CAN Info-Tech 2019. There are around 12 partner banks. And for Khalti you need to have a Khalti Account. Once you complete these procedure you will receive a verification code on your mobile. Now complete the payment with the payment mode you have selected before. Choose your bank among the partner banks. Once you choose your bank enter your mobile number connected with Khalti. Now tap on PAY. A new page of your e banking portal will open. Now fill in the required details to further proceed. For those who selected Khalti as their payment method, enter your Khalti ID and tap on PAY Button. Enter the PIN and confirmation code sent on your mobile tap on confirm payment. After completing the payment you will get a confirmation message on your mobile. Later on CAN will also sent you a confirmation email. For all the visitors, you can buy or book tickets via ESewa. 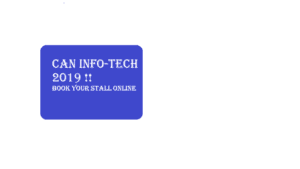 You will get 20 % discount for online booking.Visit this site to buy tickets for 2019 CAN Info-tech: https://can.esewa.com.np/. Fill the form with your correct details. Make sure to choose the right ticket type. There are two tickets type: Normal and student. You will receive discount for the student ticket and who doesn’t like discounts. Then select the number of tickets you will like to buy. Then click on submit. Now you are good to go and your tickets are secured. Have a productive visit to CAN Info-tech this year. Good day everyone ! Some grammatical error in the form of incorrect use of articles and punctuation have been identified. Besides, the article is well written.